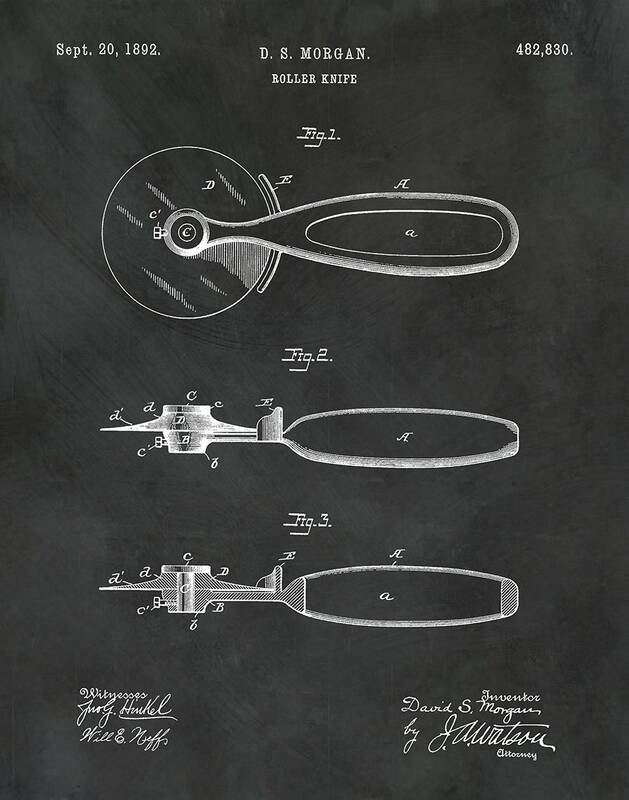 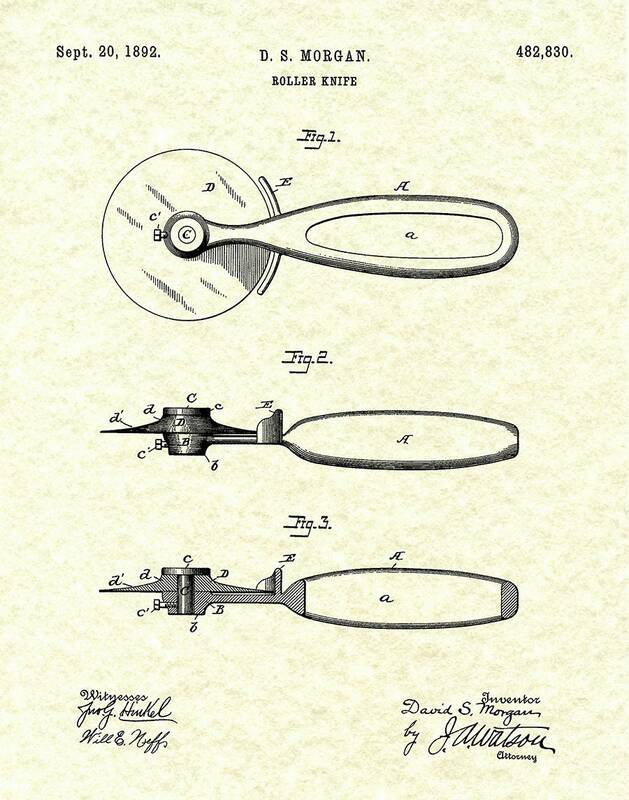 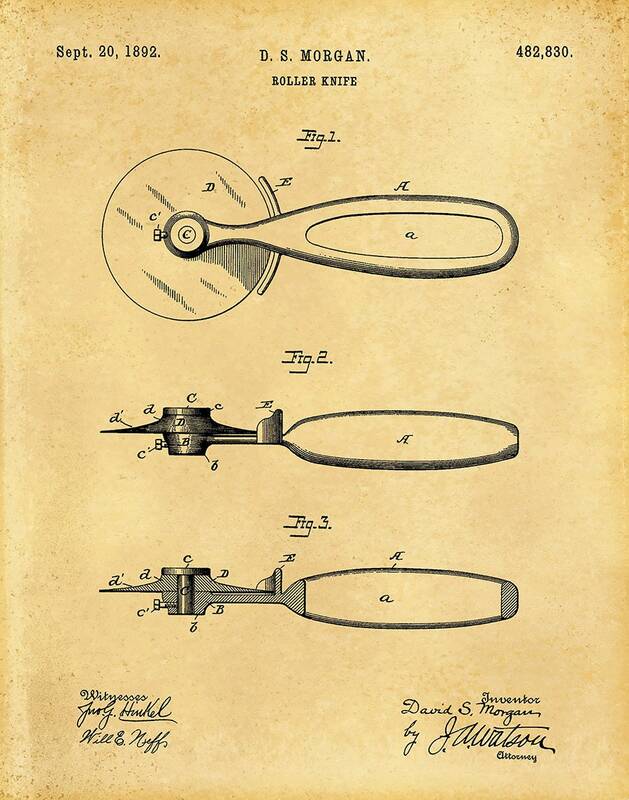 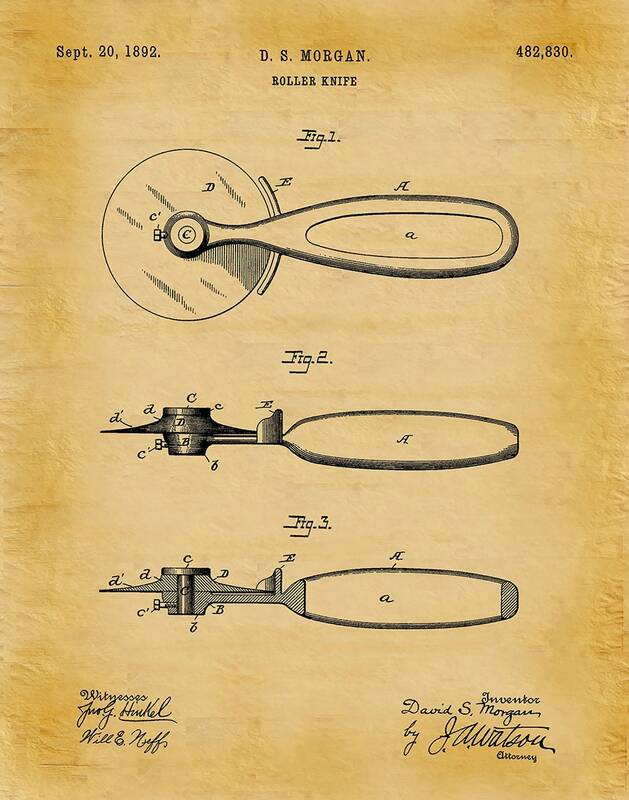 1892 Pizza Cutter Patent invented by David Morgan. 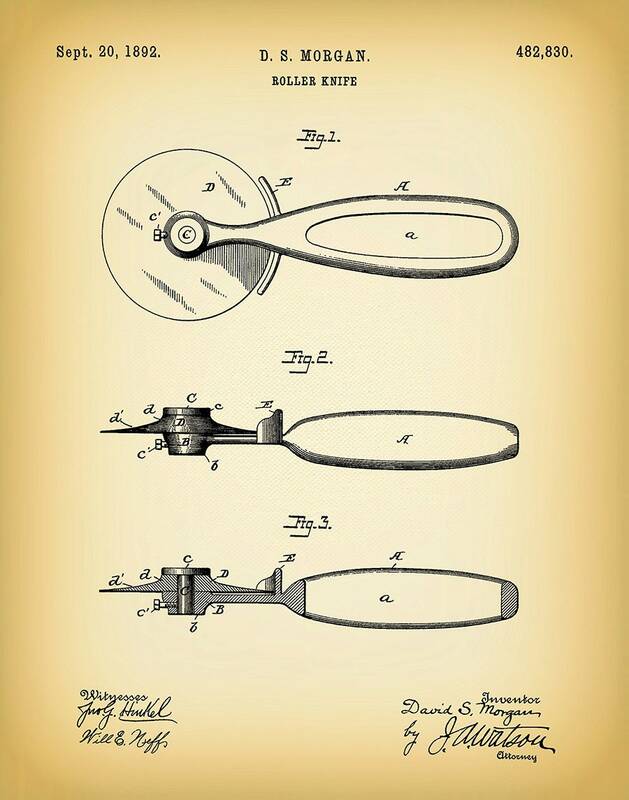 The patent was issued by the United States Patent Office and Trademark Office on September 20, 1892. 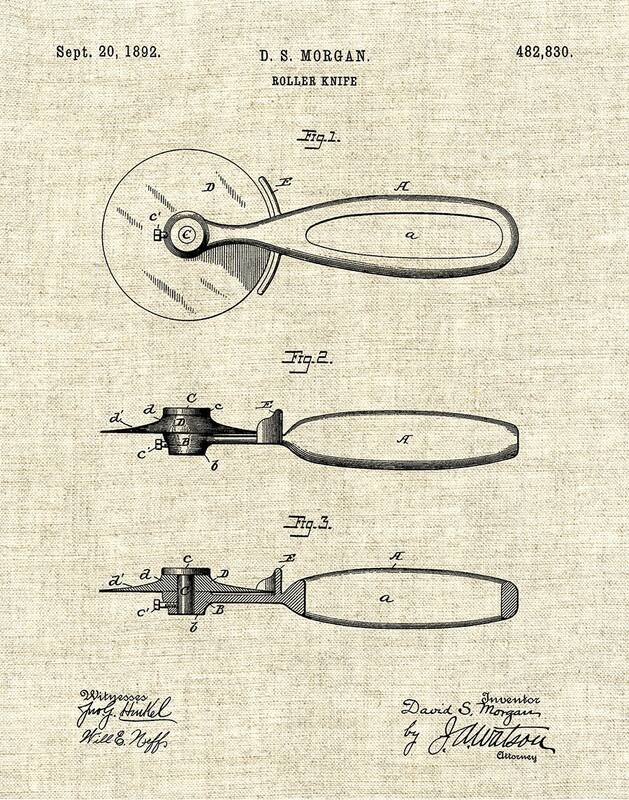 All patent print and illustration pages are restored and digitally enhanced to remove as many flaws as possible while maintaining the integrity of the original document. 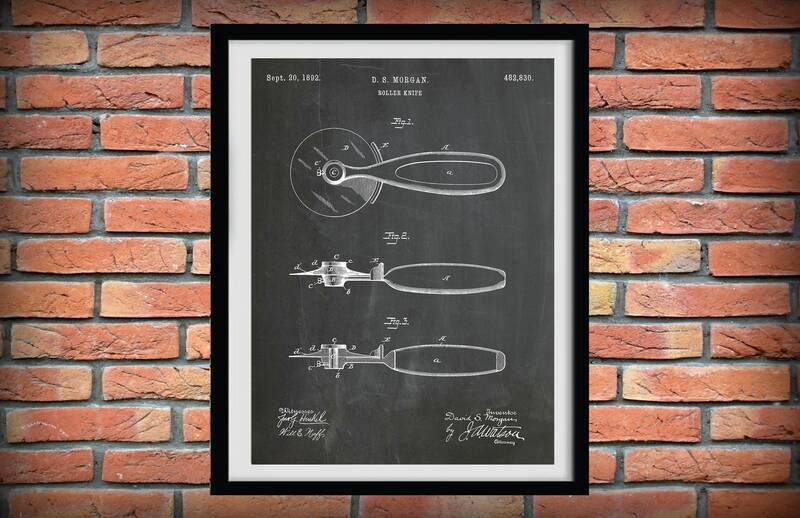 These prints are a wonderful way to own a piece of history featuring your favorite inventions or hobbies that can be proudly displayed as fine art in your home, office, business, man cave or camp. 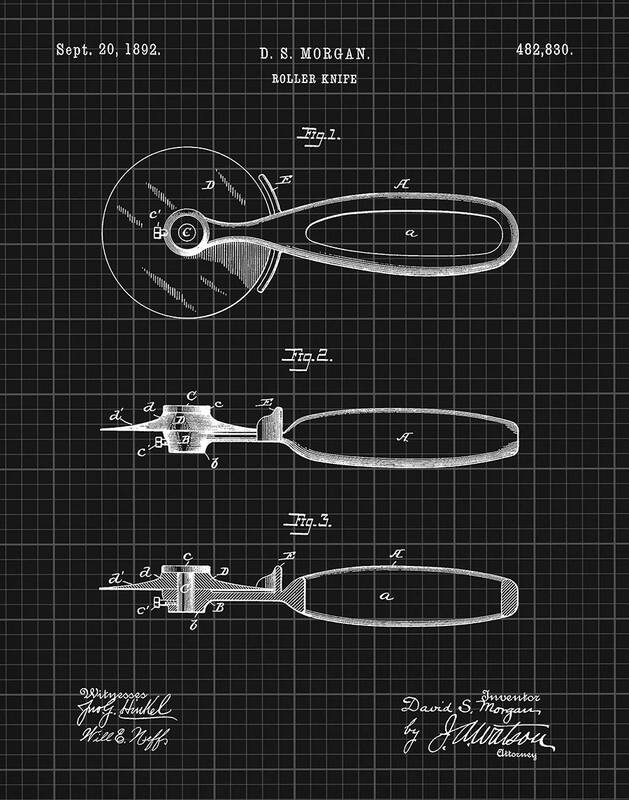 My patent prints are printed on archival heavyweight matte paper using Epson Ultrachrome K3 pigmented inks that will last over 100 years. All orders ship in a rigid envelope or tube to ensure safe delivery to your home or office.